No, not drinking establishments for the Amish, but a very simple and appealing design created by Amish quilters. Years before I ever thought of making a quilt, I fell in love with the pictures in this book. I was working for a publishing company during a particularly ruthless merger, and discarded books were a sad perk of the layoffs. I picked up this little book and was amazed by the gorgeous colors and graphic designs. 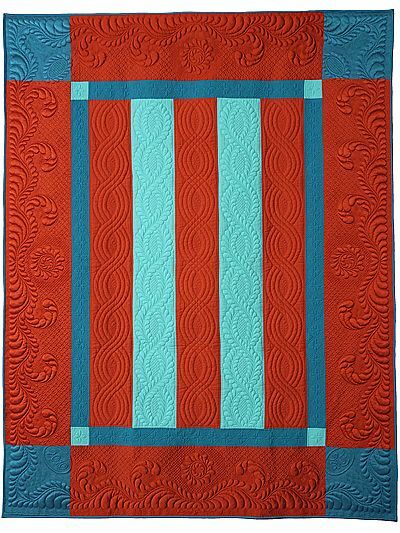 I love the bar quilts the best–the design and color combinations feel so comtemporary. This one is stunning. 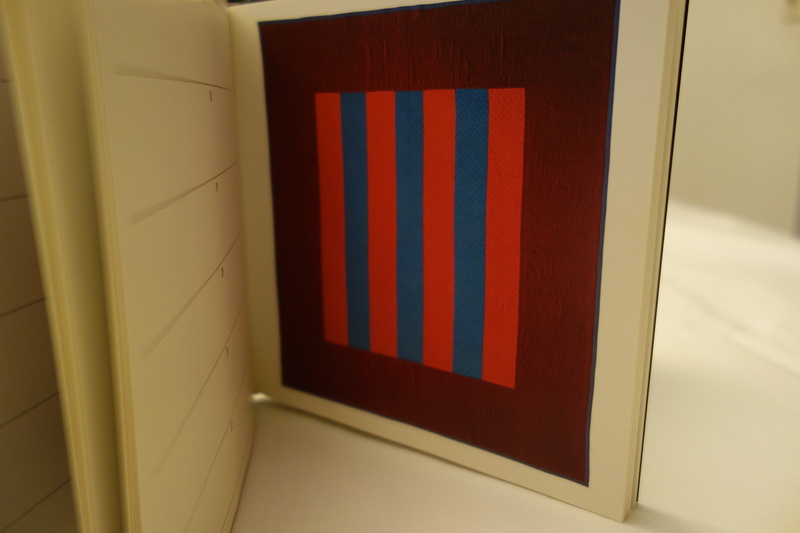 I also learned a little more about the origin of the designs and the use of color. The Amish used woolen cloth– the same that they used to make clothing–but in quilts they had more freedom to use color. In person, the richness and subtle sheen of the wool is also apparent. I’d love to try a quilt using wool cloth–I think it would be so luxurious and practical. 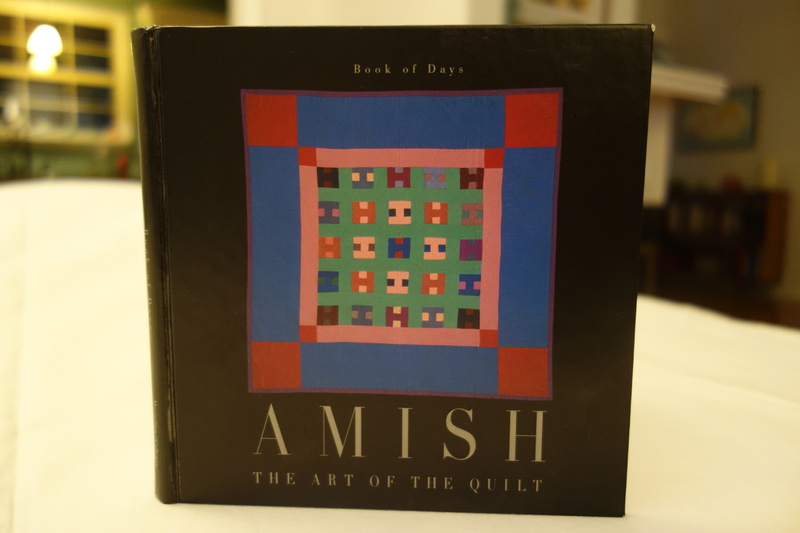 This book, The World of Amish Quilts by Rachel Pellman and Kenneth Pellman, looks like a great resource. This entry was posted in inspiration, quilts and tagged American Folk Art Museum, Amish, bar quilt on July 15, 2013 by brigitdermott.